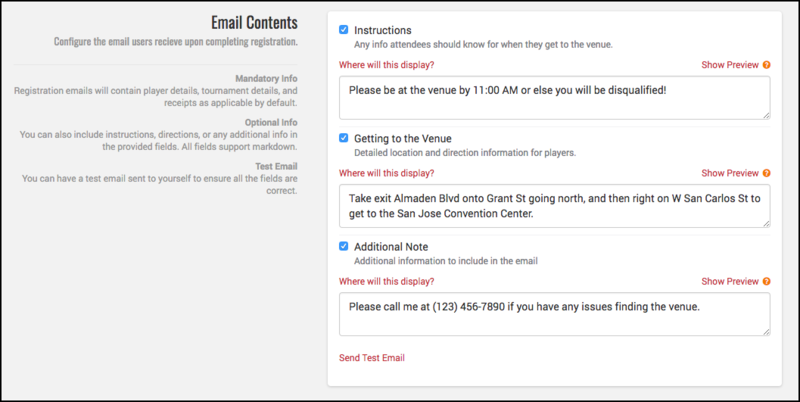 Anyone who registers for an event on smash.gg will receive a registration email with player details, tournament information, and a receipt of all transactions including events and orders. Scroll down and click on Email Settings. 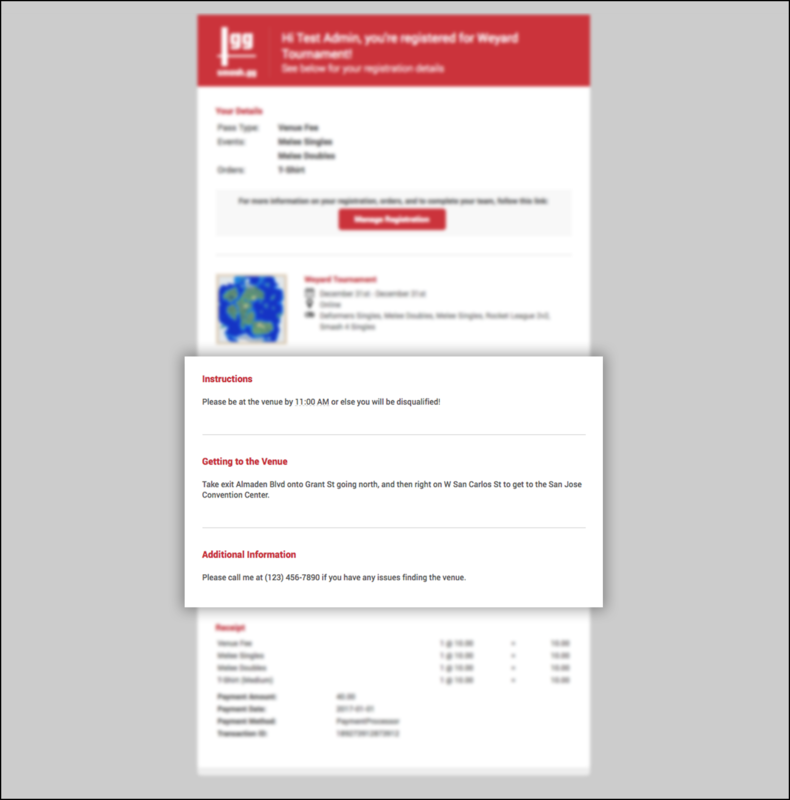 You can also set it up so that whoever has been issued a Administrator role in your Publishing page will receive a email on who registered towards their tournament.